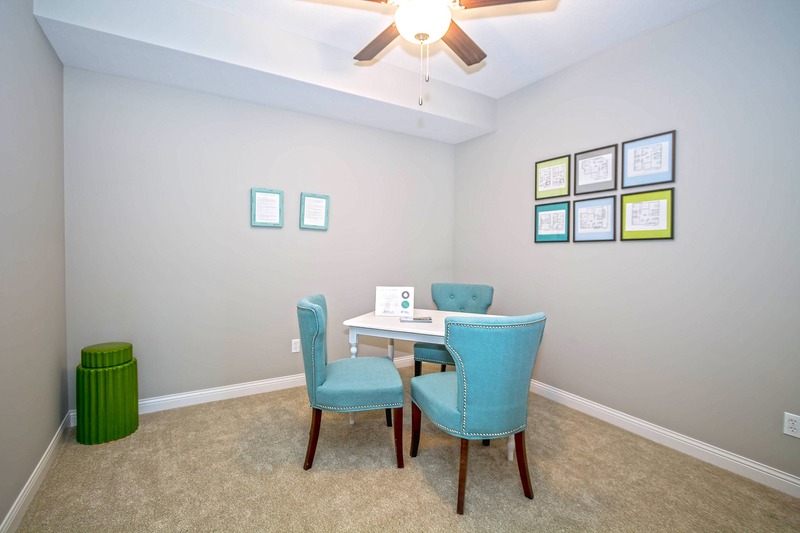 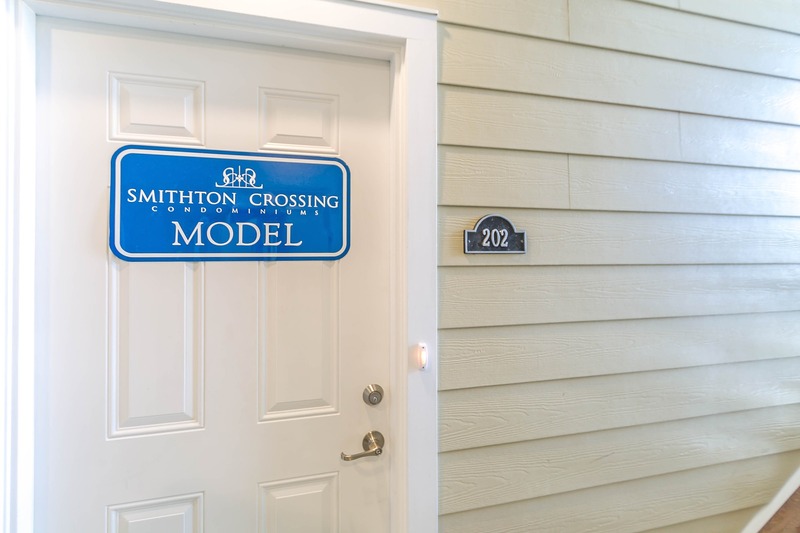 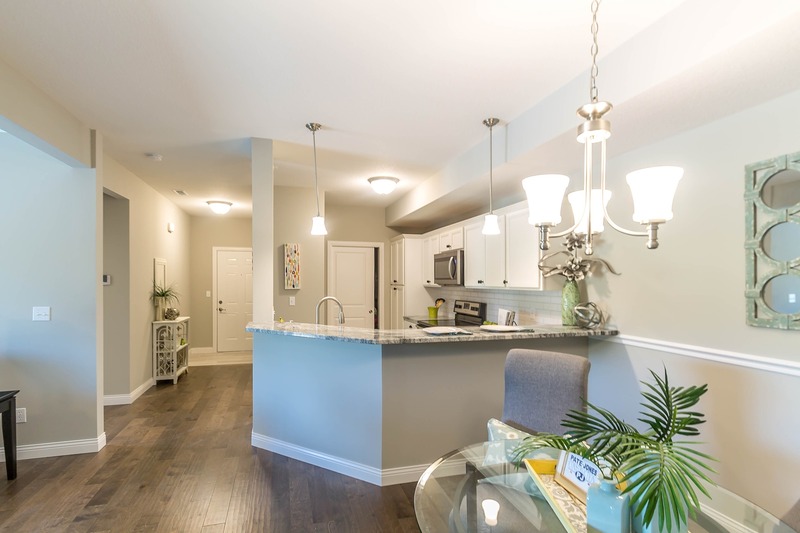 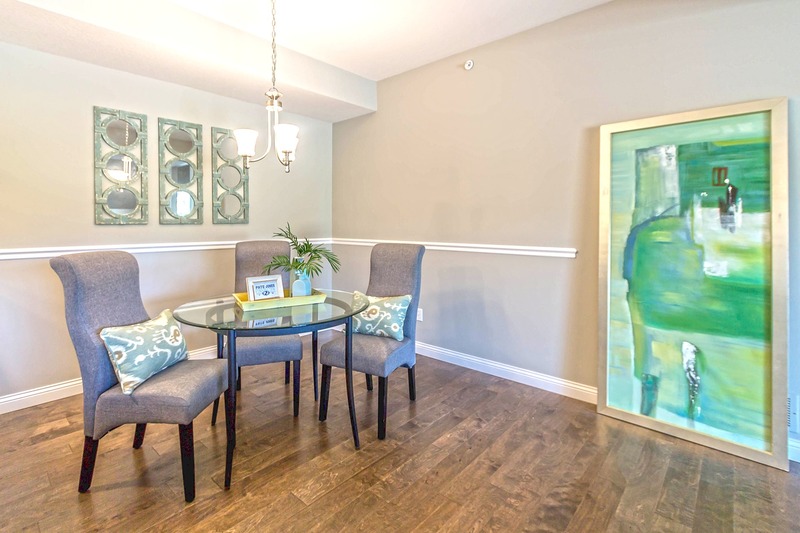 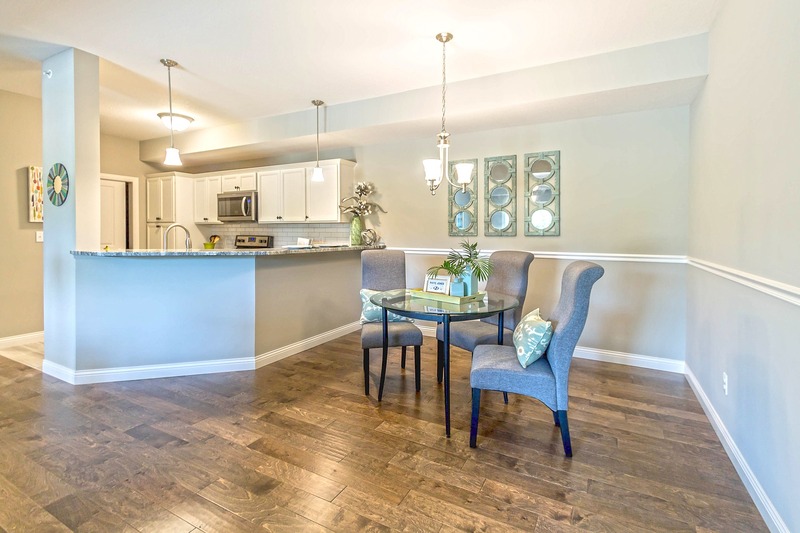 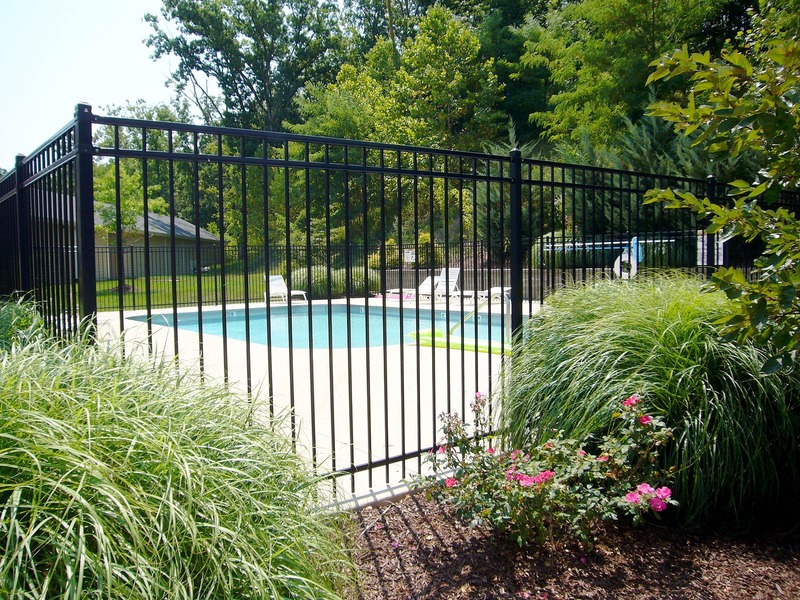 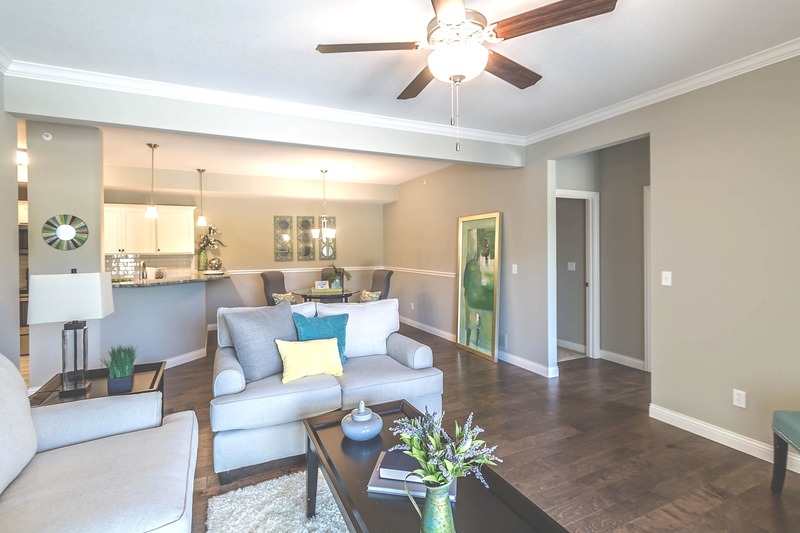 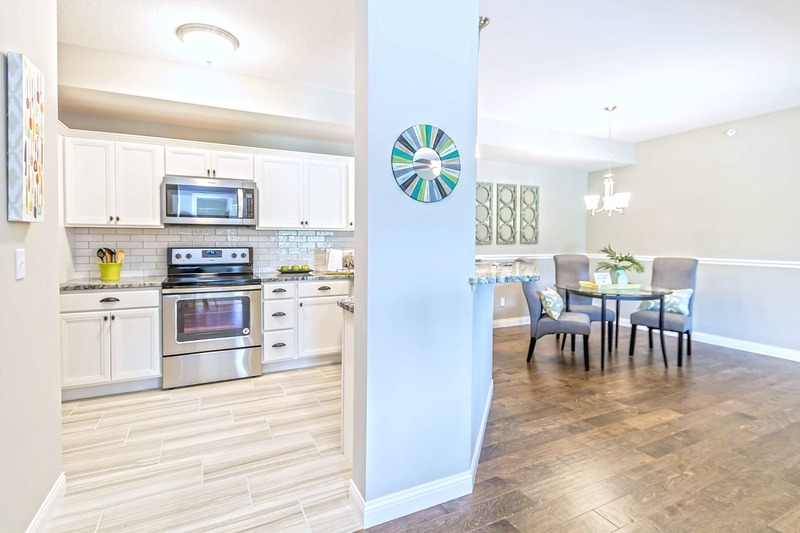 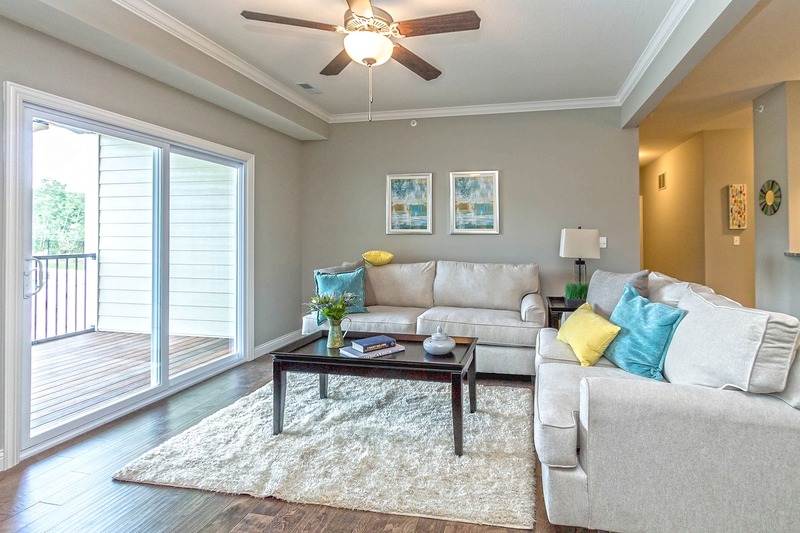 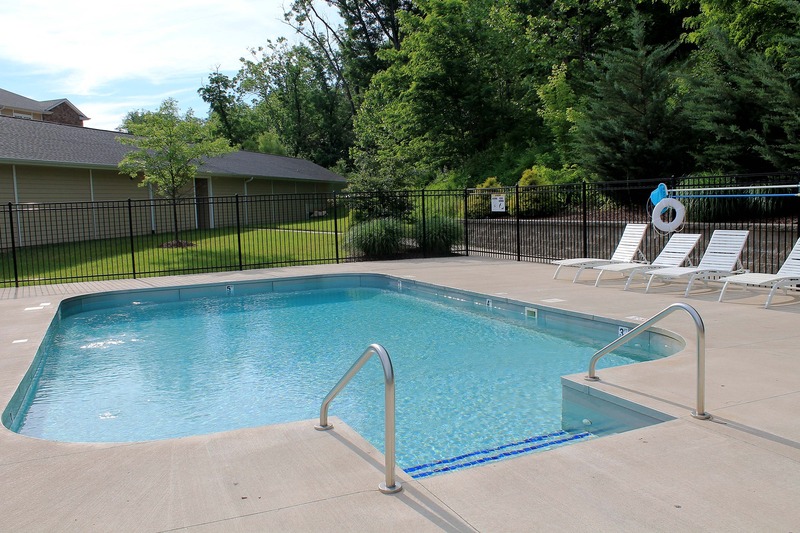 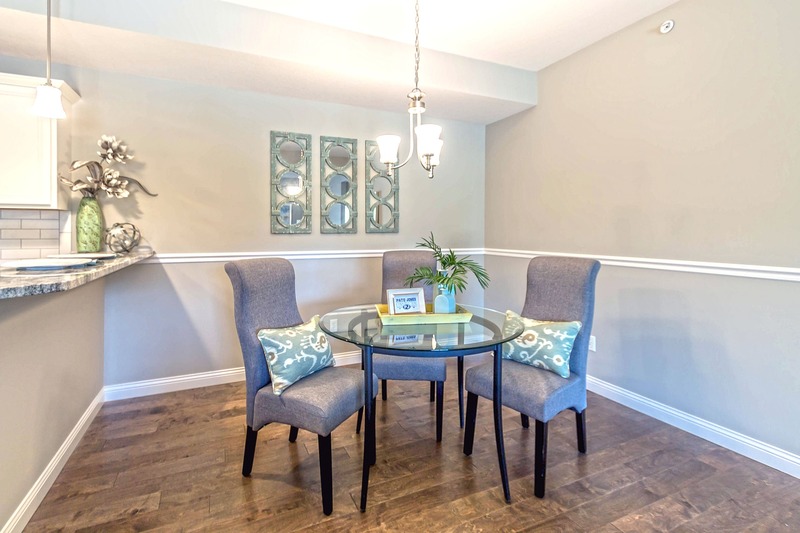 All new condos at Smithton Crossing offer the option to customize or upgrade to suit your unique preferences and style. 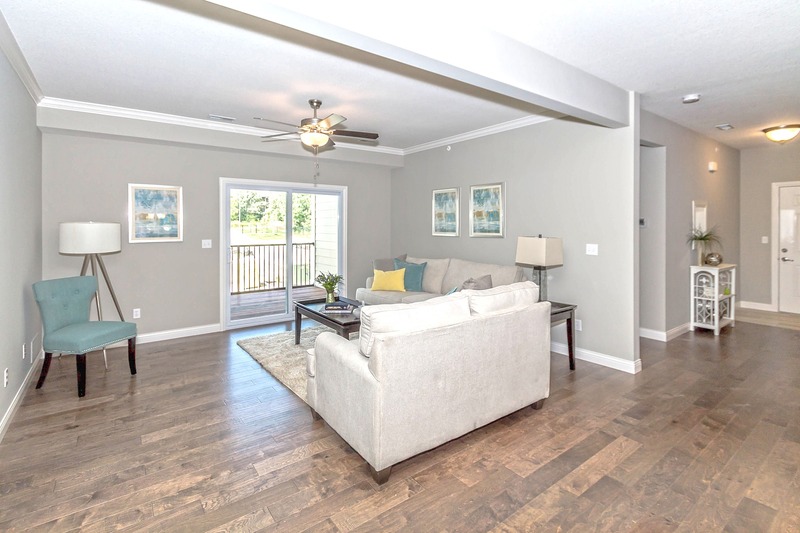 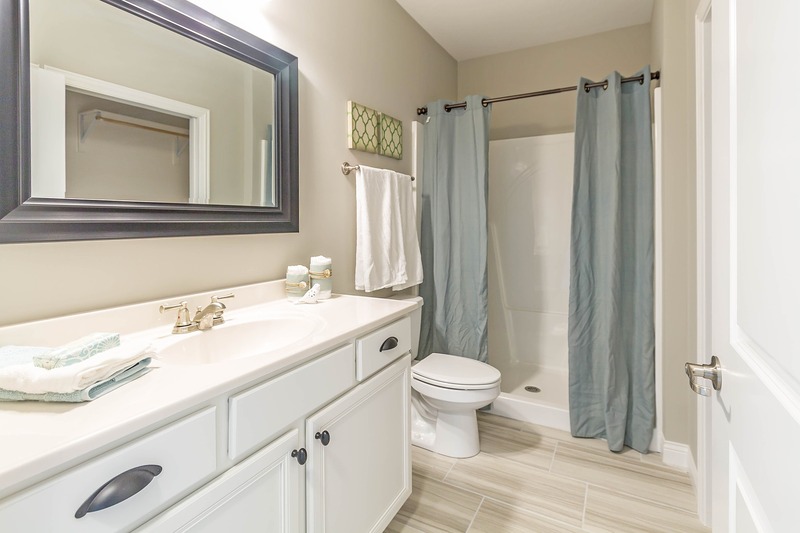 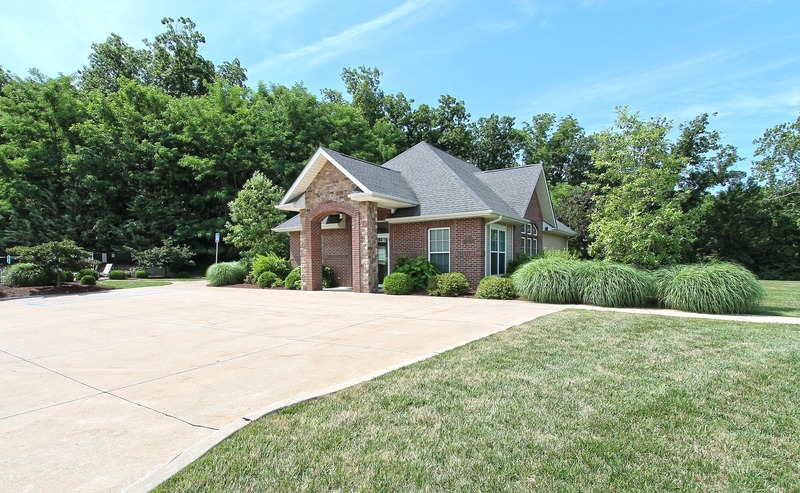 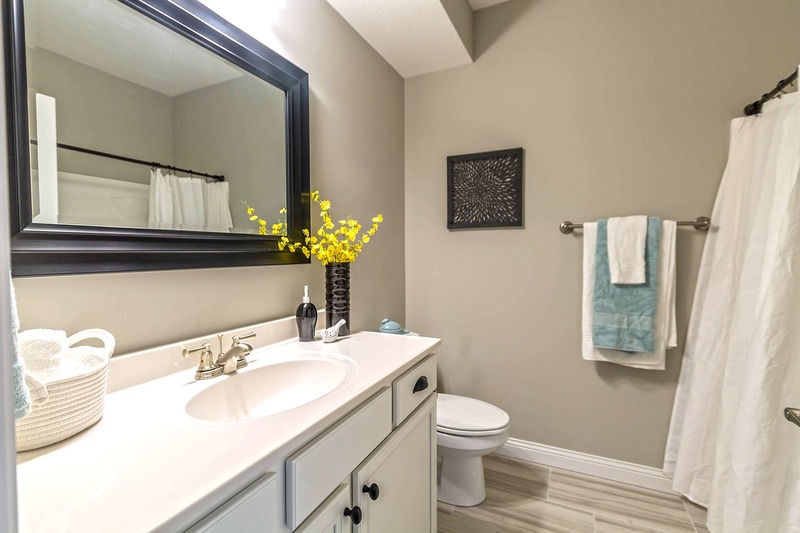 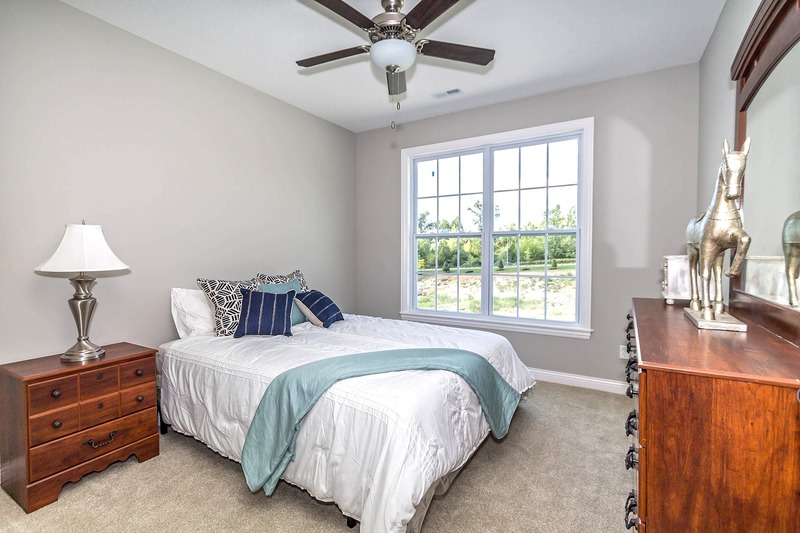 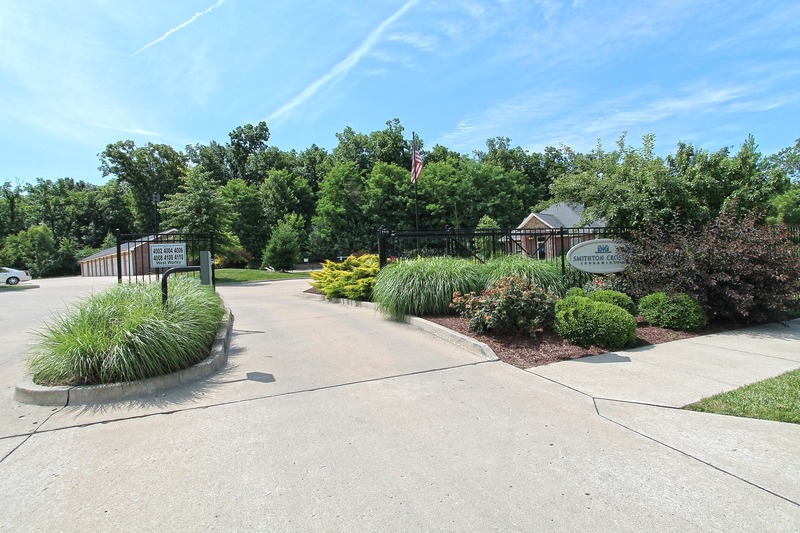 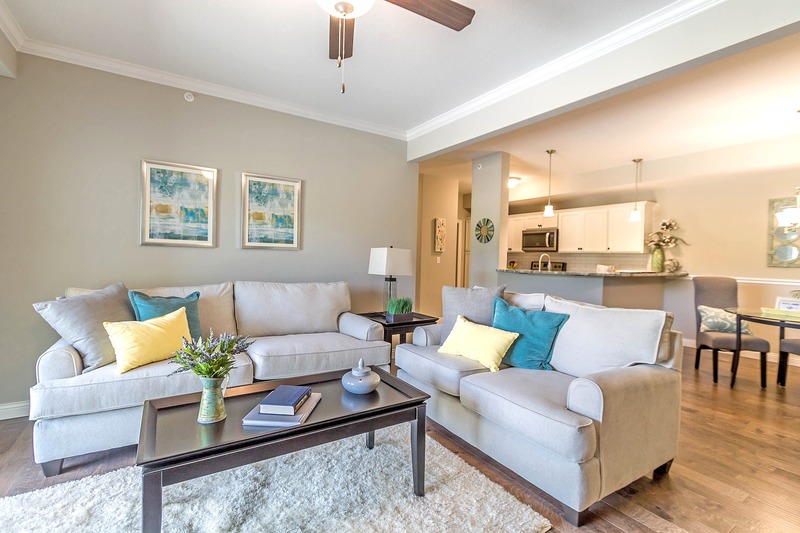 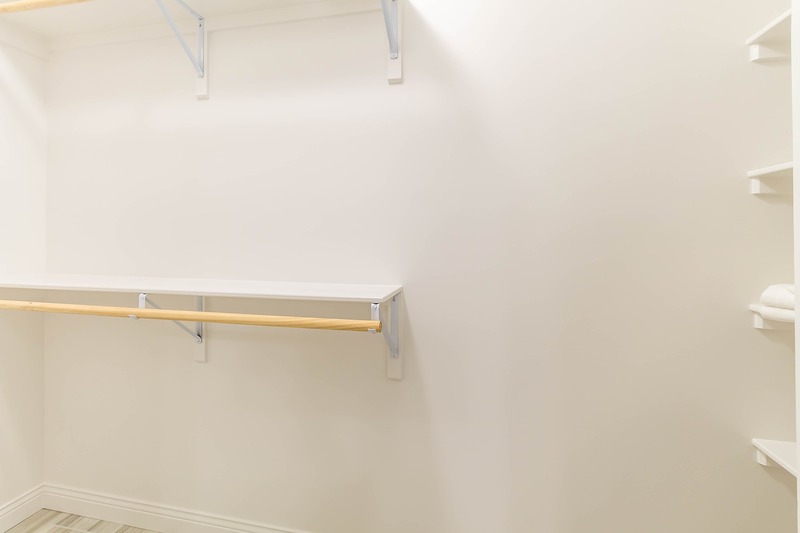 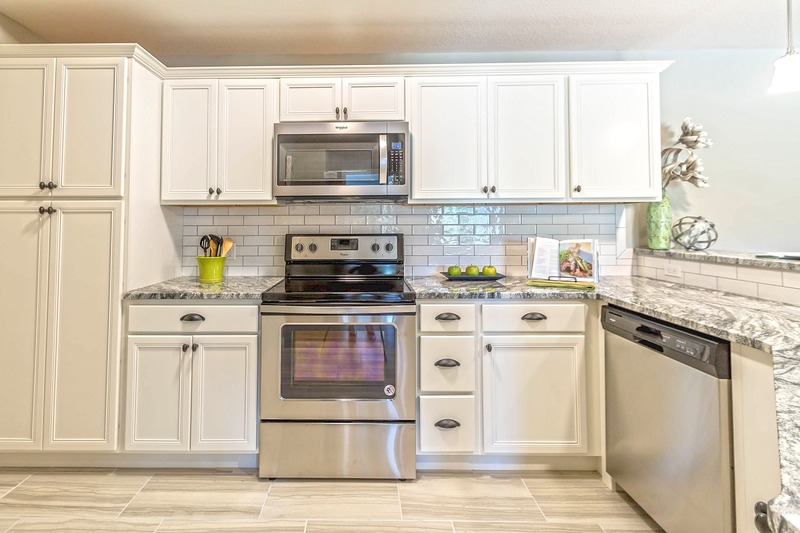 All units come standard with granite counters, kitchen pantry, walk-in closet, large utility room with space for a side-by-side washer & dryer, and low-maintenance covered deck or patio with an exterior storage closet. 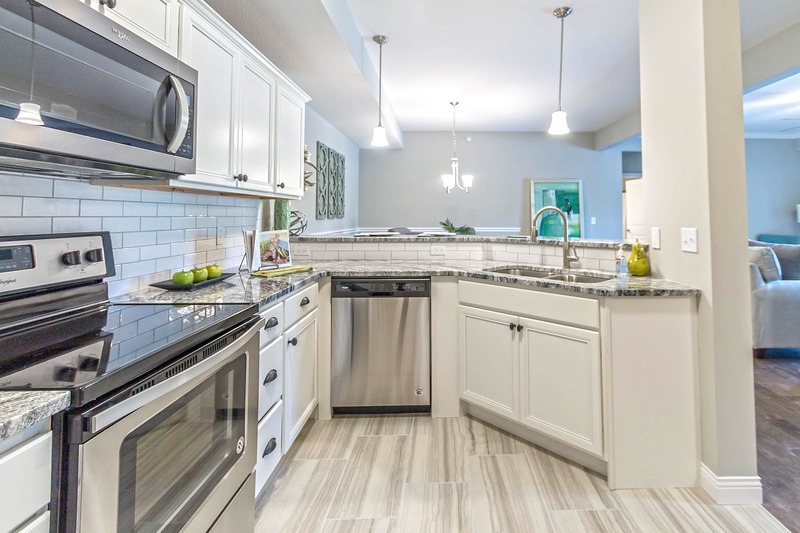 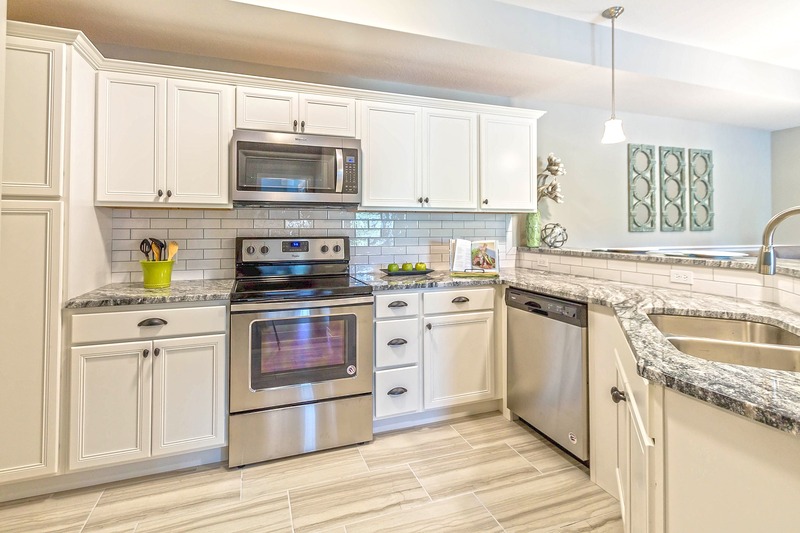 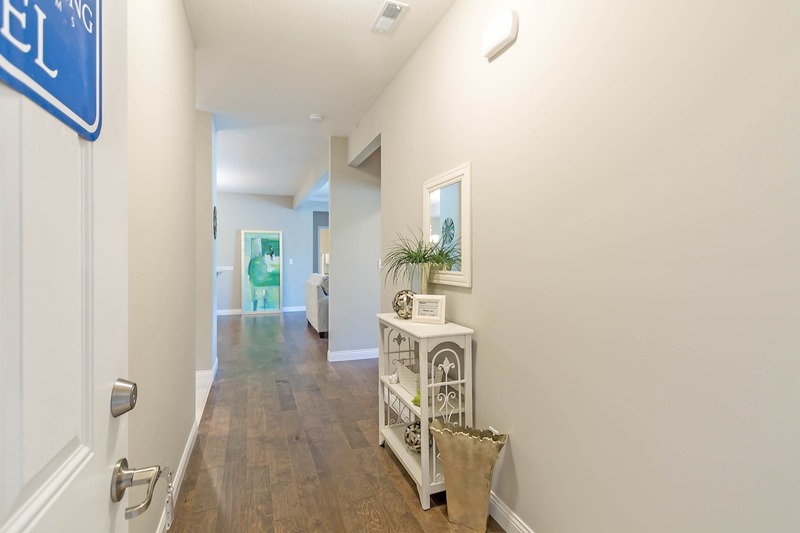 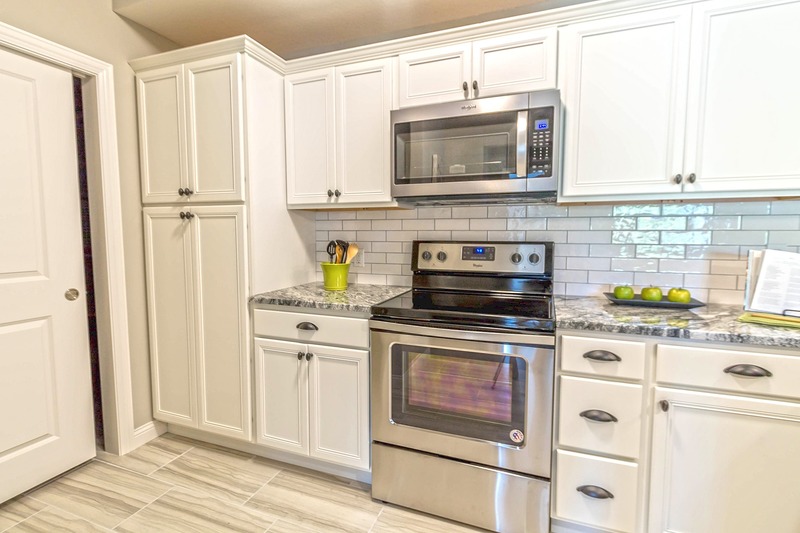 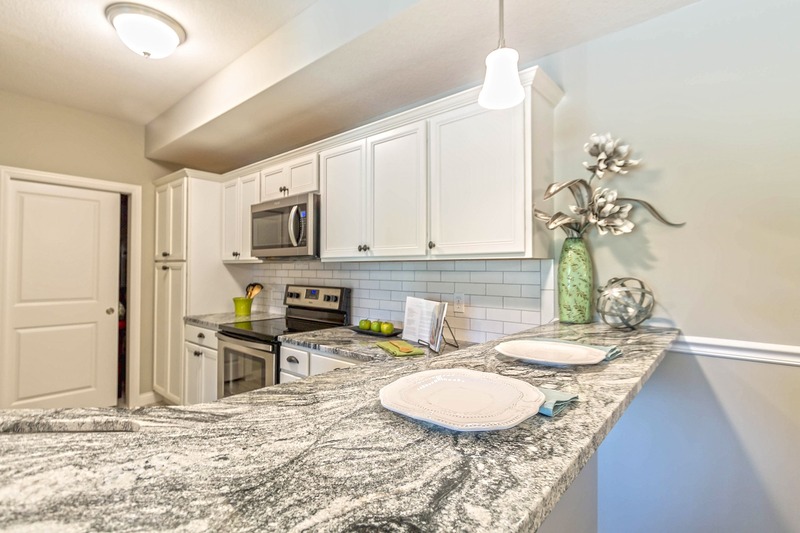 Our model features some of our most popular choices- beautiful wood flooring, white cabinetry, tile backsplash, and stylish granite countertops. 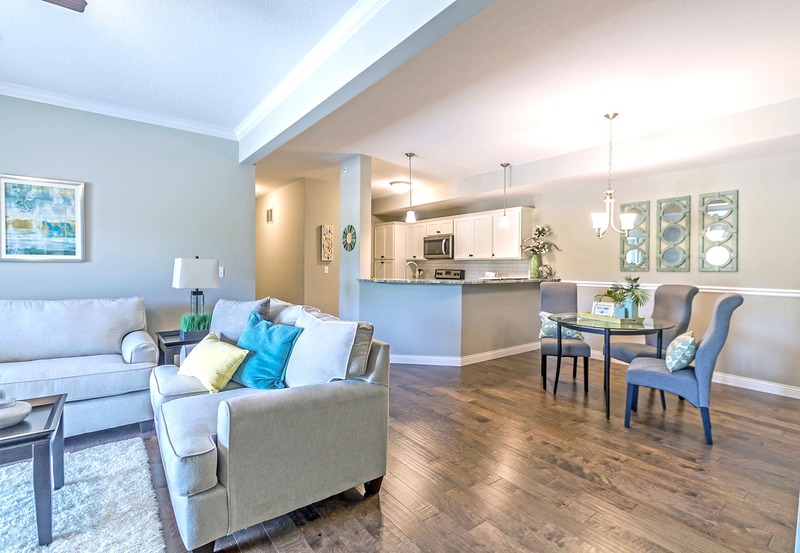 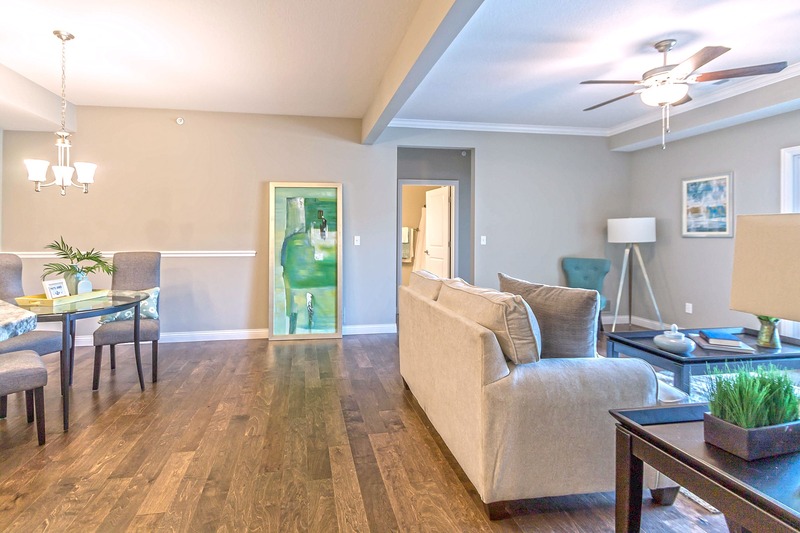 This condo comes with the wood flooring and backsplash upgrades already built into the price, AND is fully-furnished for you to move right in! 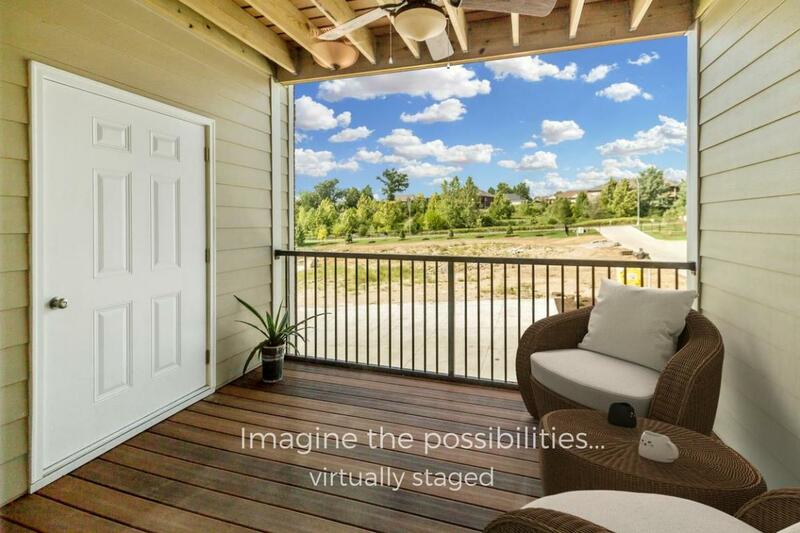 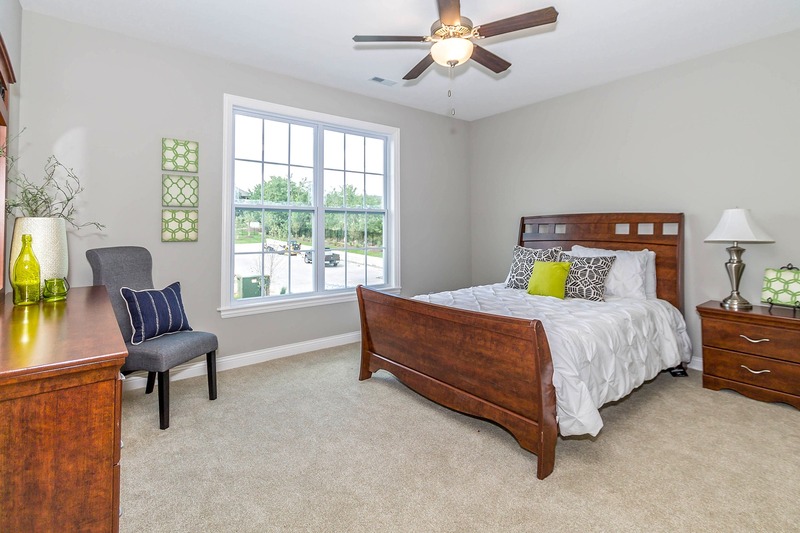 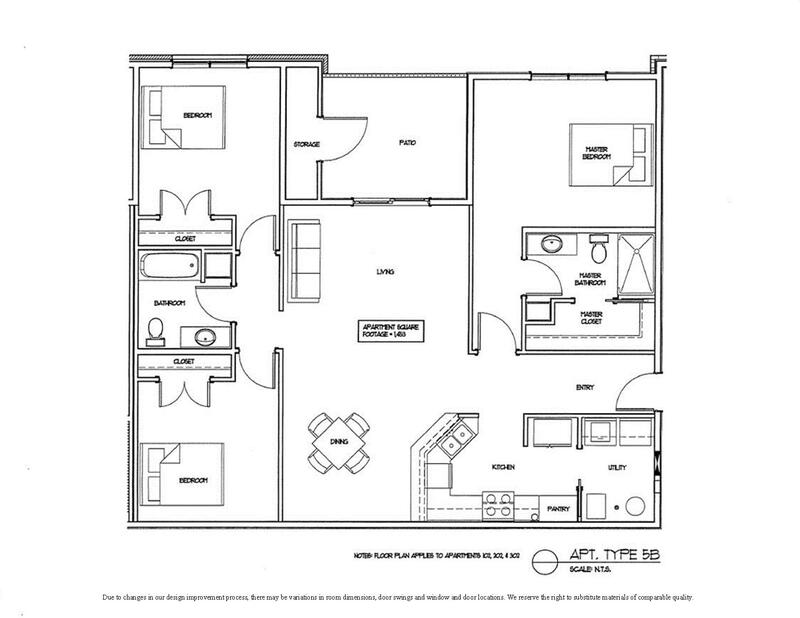 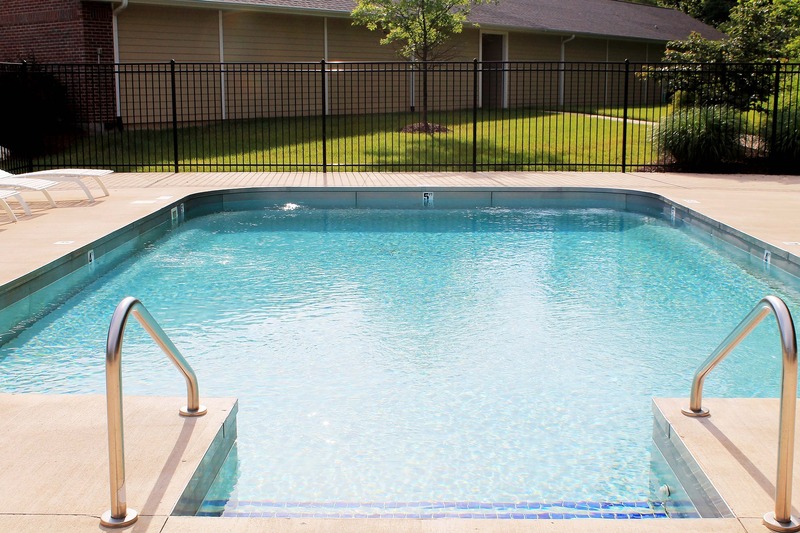 Choose from 8 different floorplans including 2-story and loft, offering up to 3 bedrooms.